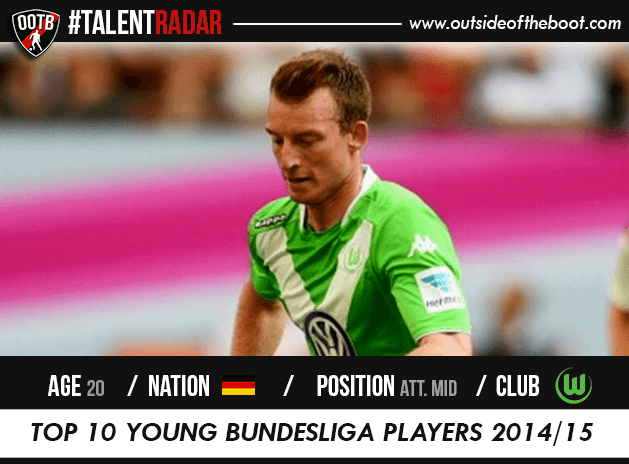 #TalentRadar Top 10 Young Bundesliga Players | Part of our Talent Radar feature involves looking ahead to the new season and informing readers of just who they should watch out for. Our lists across Europe’s Top 6 leagues of the Best Young Players (under 21) serves this purpose. Who is he? 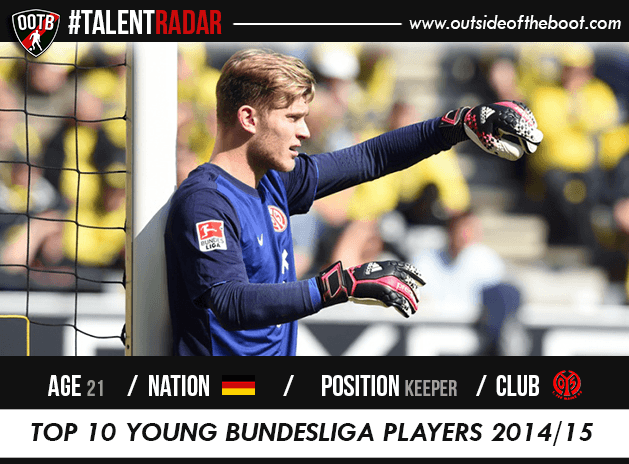 The 21 year-old ‘keeper is another member of the impressive Mainz team to feature in our list after Geis. Having moved there from Manchester City, he’s emerged as one of the Bundesliga’s best young ‘keepers. Why him? Mainz impressed once again last season securing the final European qualification spot on the last day of the season. In goal for the majority of the campaign was young Karius. The youngster impressed enough to feature in this list and starts this campaign as their number one again. What can we expect? 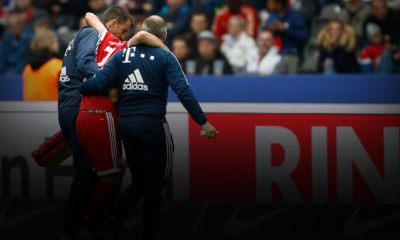 Mainz’s European campaign has come to a premature end already and with a change of guard, they’ll have a tough job replicating last season’s success. Karius though now boasts an entire season’s worth of experience and will be looking to cut out the occasional mistake. Who is he? One of the game’s brightest young talents, Arnold is a name that we should be hearing a lot in the coming years. Having made his debut at only 17 for Wolfsburg, the youngster, now 20, has emerged as an important member of the side. Why him? Last season was a breakthrough one for the German youth International. The youngster certainly impressed as he found the back of the net 7 times in 28 league appearances. 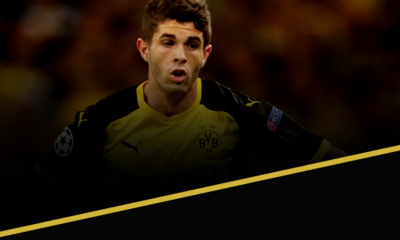 Boasting a lethal left foot, the 20 year-old not only has an eye for goal but also great technique and close control. What can we expect? Wolfsburg may have fallen short of their Champions League aspirations the last time around but having invested in a number of players, they look set to close the gap with the teams above them. The influx of players like Hunt means that the competition for starting spots has risen for Arnold. It’s up to him to nail down a starting spot. Who is he? One of the youngest members of this list, Sule is a 18 year old centre-back. 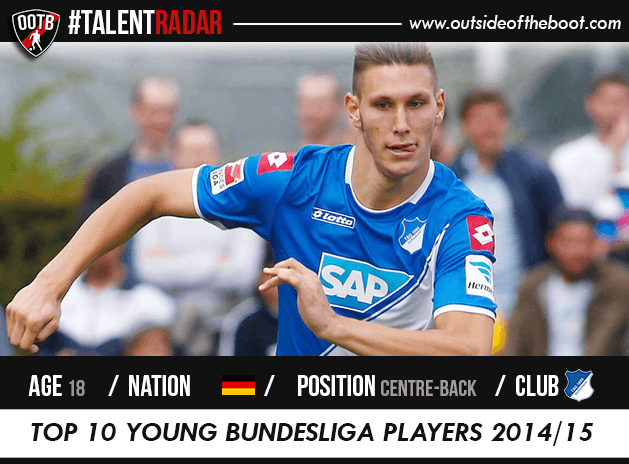 Sule made 25 Bundesliga appearances for Hoffenheim last season, no mean feat for a defender so young. Why him? It isn’t often that centre-backs are entrusted with a starting role at such a young age but that’s exactly what Hoffenheim did. 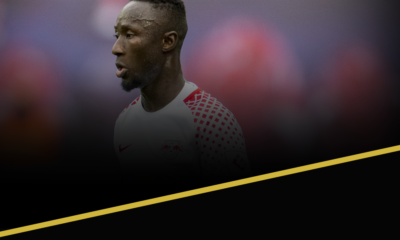 Yes, Hoffenheim oscillated from sublime to ridiculous over the course of last season and their defensive record leaves a lot to be desired but there’s definitely potential there in the form of Sule. What can we expect? Sule has established himself as first choice and will be looking to kick on and improve this time around. Hoffenheim have started this season with a clean sheet and Sule will be hoping for less action packed games this season. Who is he? One of the best young left-backs in the World, Ricardo Rodriguez is coming into the new season on the back of an eye catching performance in the World Cup for Switzerland. 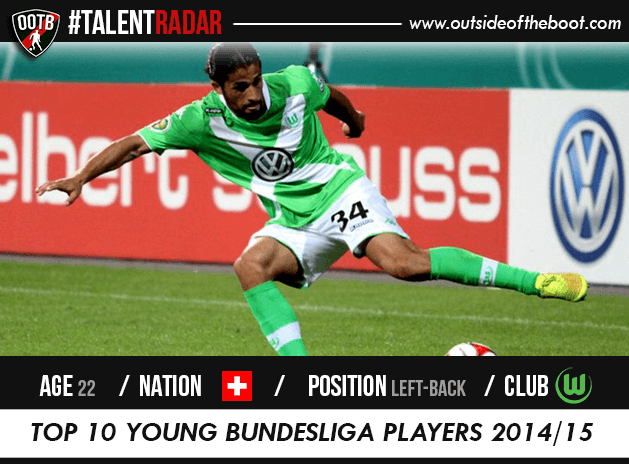 He is of course a Talent Radar regular from last season having impressed for club side Wolfsburg. Why him? Such is the nature of modern day full-backs, it is apt that I start off by praising Rodriguez’s attacking game. Always willing to push forward, the young left-back is an excellent crosser of the ball and adept at dead ball situations. However he is good at the defensive side of the game too, surprisingly so given his tender age. Solid at the back, Rodriguez is on track to becoming a very good all round player. What can we expect? With plenty of alleged suitors, the Swiss International has stayed put in Wolfsburg and is an integral part of their defence and will play an important role in their quest for Champions League qualification. Who is he? 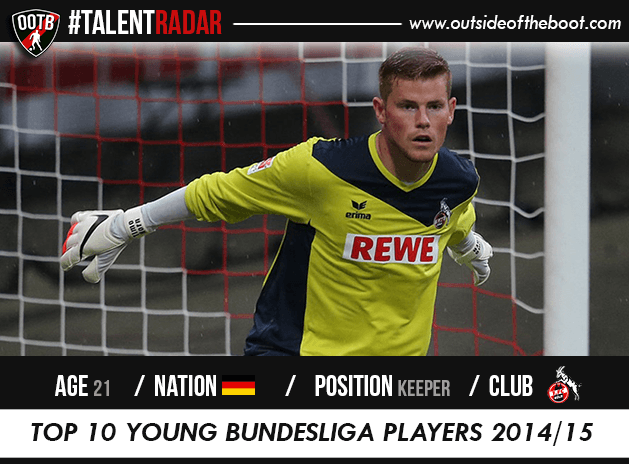 At just 21, Timo Horn is the final entry in this list (once again it’s alphabetical). The young keeper already boasts of 2 full seasons of first team experience albeit not in the top flight. Why him? Koln’s return to the Bundesliga was attained with a young team with the likes of Horn playing crucial roles. Physically imposing, the 21 year-old is an excellent shot-stopper. Koln’s relegation may have strangely helped Horn as he established himself as number 1 but he’s taken his opportunity well and now has to prove he can hold his own in the top flight. What can we expect? 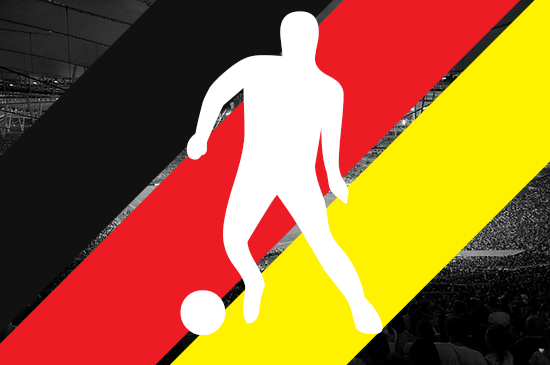 Despite Koln’s rich history, their immediate objective in their first season back is undoubtedly survival. On a personal note, Horn will be eager to impress in the top flight. 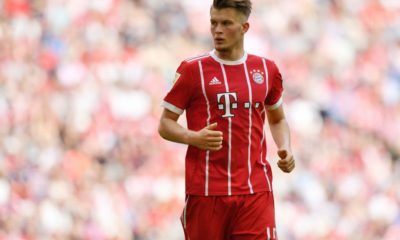 Starved of appearances for the German youth sides owing mainly to the wealth of young talent at Germany’s disposal, a solid season would see the 21 year-old’s stock rise. Written by Arnab Ray. Editor of this website.